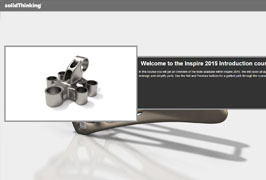 In this course, you will have the opportunity to learn about the Inspire 2019 interface along with tools and workflows contained within Inspire. Modules contained within the course provide detailed descriptions of the tools and workflows within Inspire. You will also have the opportunity to watch and perform hands-on exercises within each module. 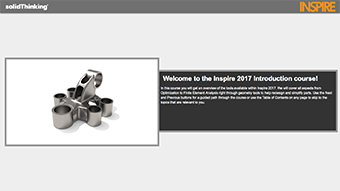 In this course you will get an overview of the tools available within Inspire 2017, including the new Motion Analysis tools. 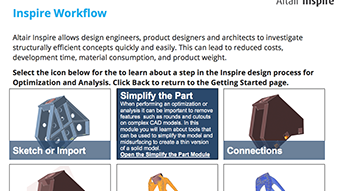 We will cover all aspects from Optimization to Finite Element Analysis right through geometry tools to help redesign and simplify parts. Note: This course requires a Connect login to view. The purpose of this self paced course is to introduce running optimizations with the Inspire environment.